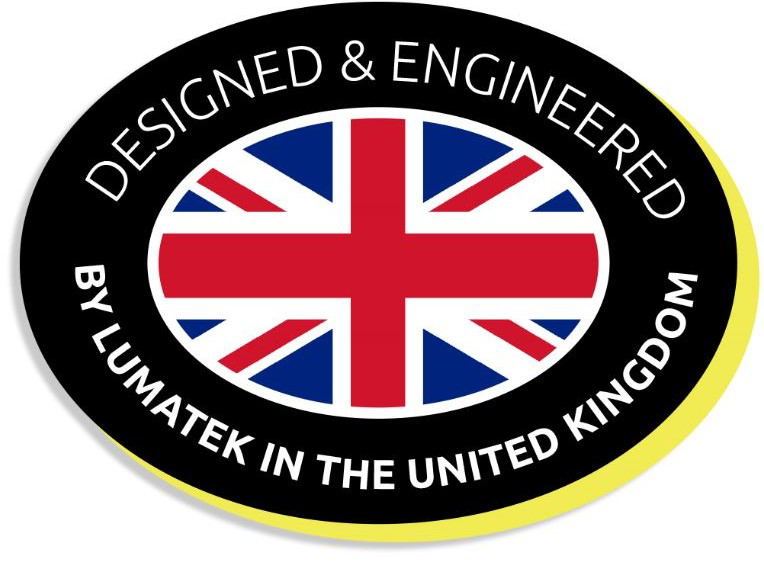 The Lumatek Ultimate Pro 600 has been specifically designed to help the hobby grower access the benefits of using electronics to control and power both 240V MH/HPS and professional 400V HPS horticultural lamps. The Lumatek Ultimate Pro automatically detects the lamp connected and then powers that light. A Lumatek 600W 400V HPS lamp is supplied with the ballast. The 400V lamps are superior to the 240V lamps traditionally used in the hobby hydroponics and indoor garden markets due to their increased efficiency and greater PAR spectrum output. Photosynthetic Active Radiation (PAR) refers to the part of the light spectrum that plants actually use to photosynthesize and make energy to grow. 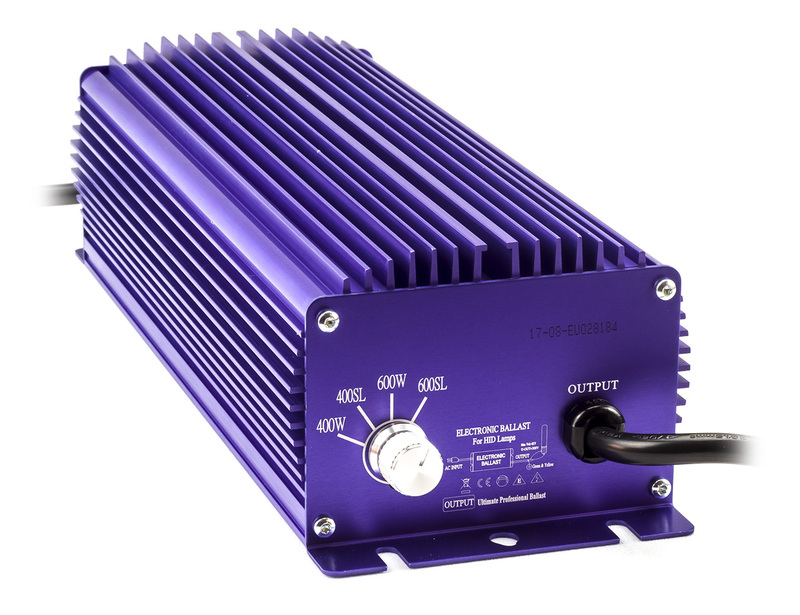 The Lumatek Ultimate 600 is a remote electronic ballast that will plug into standard 240V mains supply and power 600W 400V HPS and 400W/600W 240V MH/HPS grow lamps. 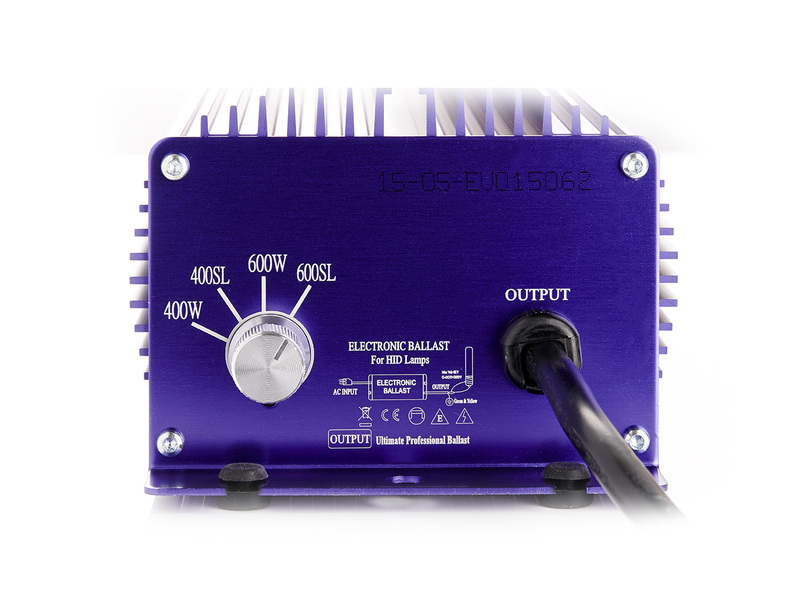 This ballast has an IEC connector on the lamp cable and can connect to any regular reflector. This intelligent digital ballast can easily integrate into your existing grow room; simply replace your ballast with the Lumatek Ultimate 600 and it will automatically detect which type of lamp you are using and provide precise voltage required for optimum PAR spectrum output. If you are powering a 600W 400V grow lamp, you will instantly achieve more useable grow light! More light = more yield! •	Voltage regulator precision; as well as automatically detecting which voltage lamp is being used, the microprocessor and software controlled electronics monitor and sense the lamp and it's current state of degradation ensuring the lamp receives the precise voltage necessary to achieve optimum PAR spectrum output (the actual part of light that plants use to photosynthesize) regardless of mains supply voltage fluctuations. •	Soft Start; when ballast is switched on, the software controlled electronics manage and control inrush current so as to prevent initial surge tripping circuit-breakers and protect and enhance lamp-life. The ballast will bring the lamp to full brightness within three minutes. •	Sequential switching; the ballast detects other ballasts on the same ring circuit. When used in an automated system, the ballast will start independently rather than simultaneously so as to manage the electrical load prevent circuit-breakers from tripping. •	Soft dim; when the ballast output power is changed, the regulator software controls the change in power so that it is gradual, thus reducing stress on the lamp and improving lamp-life. •	Circuit protection and Auto-restart; the ballast will detect power surges, short circuits, circuit-interruption, over-heating and switch off to prevent any damage to the lamp or the ballast. To protect against hot re-strike, the ballast will monitor and sense when the lamp is ready to be reignited and will then restart automatically. •	End of lamp-life; the ballast will monitor and sense when the lamp is coming to the end of it's useable life and will not attempt to ignite it thus avoiding negative spectral and colour anomalies. •	No noise; the Lumatek ballast is completely silent and produces no vibration due to using the graduated fin design of the case as a heat sink which negates the need for an internal fan. •	Less heat; the ballast is extremely efficient and very little energy is lost as waste heat. •	Lightweight; the ballast is compact and light, weighing under 3KG making it easy to position and mount. Lumatek 600w 400V Lamp supplied inside the ballast box (Optional).